"Awesome, just waiting on some more colors as everything is sold out. Been using for over a week so only time will tell how it holds up." 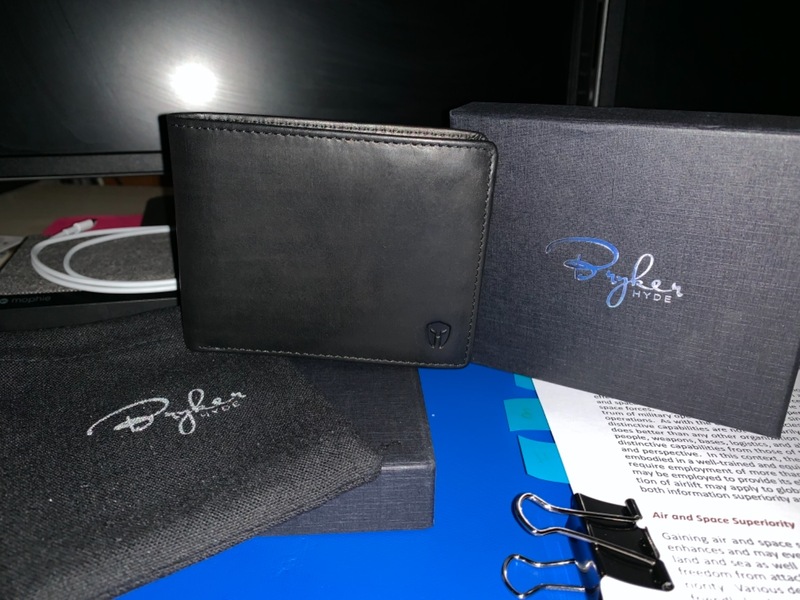 "Had the wallet for about a week now and it is very good quality and design seems to be on point. I would definitely recommend getting one. " "Working great. Ditched a lot of unnessary stuff." 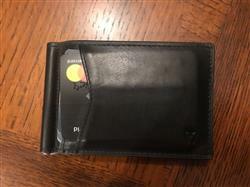 "I bought the same wallet a month ago, and liked it so much I bought another, should anything ever happen to the first. Awesome wallet - THE best wallet this 53 year old exec has ever owned! And proceeds go to support vets! Thanks BH and here’s to a prosperous 2019 for your company!" "Amazing! Love the styling, craftsmanship and quality of materials "
"Very impressed. Just got it. Has alot of room, more then I need, but very cool and classy at the same time. Even bought one for my son. " 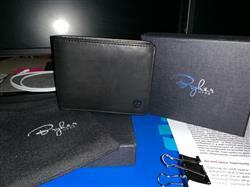 "This may be a small wallet however it handles everything a big wallet can while keeping the package manageable. Best wallet I can remember ever purchasing." The best wallet you'll ever own! "Without a doubt this is the best wallet I have ever owned! It's lightweight, easy to use, sleek, comfortable in my front pocket and, most importantly, it doesn't bend my cards!! After getting my wallet I showed a co-worker and bragged about it. He went home and ordered one himself. I'll never need to own another wallet, but if I do...I'm checking Bryker Hyde first for this beauty!" "Great billfold love it so far." "Great product at a good price. Quick shipment. " "I really like how thin this is and it still holds all my things without being bulky." "I am enjoying both wallets. Bought them for myself. I like to swap them every week or two. Thank you. Mark Gill"
"The walketvarriced quickly. Nice construction. Great product." 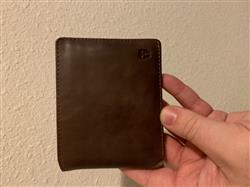 "I just got my new wallet and was pleasantly surprised. The quality of the leather is even better than described. I have never bought a wallet that comes gift wrapped, it was so nice. There is room for everything and then some. It looks and feels great. Highly recommended to anyone looking for the last wallet they need to buy. " "My wife wanted to know what I wanted for Christmas and I told her a new wallet. I found Bryker Hyde on Instagram and decided I wanted one of their wallets. Looks great and fits everything from my previous tiny wallet. Christmas came a little late but I love this wallet!" "Awesome wallet & Quick Delivery!!!" 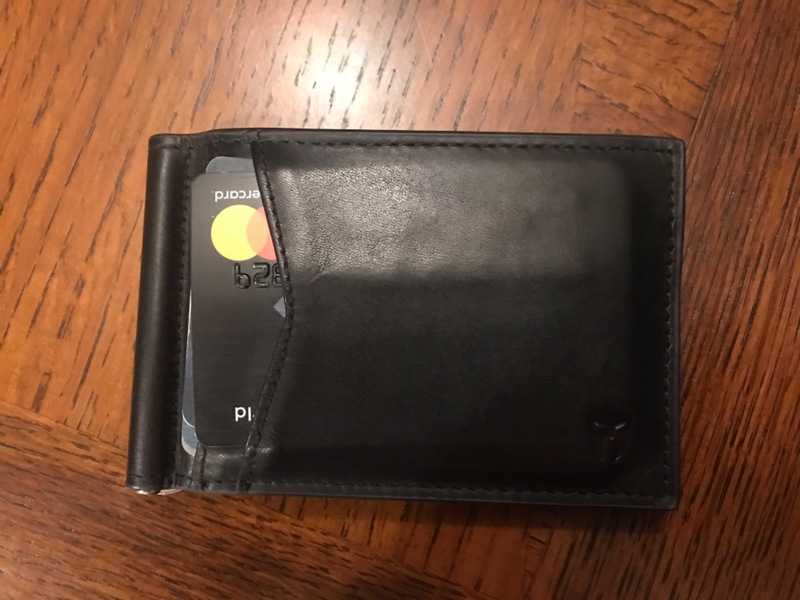 "I BOUGHT THIS WALLET ONLINE FOR OUR SON-IN-LAW FOR CHRISTMAS. HE WAS HAPPY TO RECEIVE IT. HE HAD GIVEN ME THE IDEA FOR CHRISTMAS." "A little too big for my husband’s tight pockets but that’s user error. Very sturdy, beautiful material, plenty of room for all the things. " "I am very pleased with my new wallet. The card pockets are more than ample for getting charge cards in and out. The leather has a very rich feel and is easily conforming to my rear pants pocket. I think my friend made an excellent gift choice." "Very good so far. Seems to be good quality material. Order was shipped and delivered pretty quick as well. " "Love it! Just what I hoped it would be...good quality and perfect schematics!" "This wallet is great and exactly what I wanted"
"My husband loves this wallet. He says sometimes he worries he forgot it since he can't feel it in his pocket. He loves the design and the tan color. " "Overall im happy with the wallet it does what I need and looks good what excited to see that it was coming out of Dallas Tx i like to support my state and disappointed when it showed up saying made in China probably will shop elsewhere next time i prefer to buy American when I can"
"The clip works well in the minimalist wallet. If you carry cash you’ll need to use it in your wallet. Even with several bills the wallet closes nicely. It gives you the option of adjusting the tensioner simply by twisting the stem. A very good product! " "I really liked the wallets design and versatility, and the construction was excellent. My only complaint is that the wallet is not identified as RFID. If I were to give this as a gift, the recipient would not know its capabilities. in fact, I wouldn't know unless i looked it up on line. " "I hate big bulky wallets, the minimalist wallet is awesome. This wallet holds everything I use and feels comfortable no matter what type of pants I’m wearing." "Great. What I was looking for"